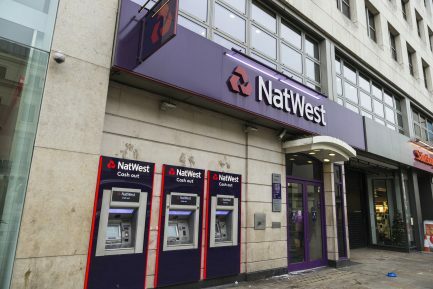 NatWest Bank has been ordered to pay damages equal to the full cost of repair of a property after it failed to undertake a survey for the buyers. The case provides valuable guidance on how the courts will assess damages in negligent surveyor cases. Martin Moore and Camilla Hegelund applied to NatWest for a mortgage to buy a flat in Devon. They asked NatWest to prepare a Home Buyers’ Report, which would provide more detail of the condition of the property than a simple valuation report. NatWest made a mortgage offer to the couple, who bought the flat for £135,000 on the assumption that NatWest had received a favourable Home Buyer’s Report. In fact, due to a mistake NatWest had failed to prepare the report. The buyers then discovered that the flat had serious defects and needed repairs costing £115,000. They sued NatWest, claiming damages of £115,000 for the cost of the repairs. In response, NatWest argued that they were only liable for the difference between the purchase price and the fair market value of the property, which they said was £15,000. NatWest was relying on the precedent set in Philips v Ward. In that case, a surveyor failed to spot that a house had an infestation of death watch beetle. The court ruled that the surveyor was negligent but decided that the measure of loss was the diminution in value of the property relative to the purchase price, rather than the full cost of making repairs. Mr Recorder Willetts rejected NatWest’s Philips v Ward argument and found the bank liable for breach of contract as it had failed to undertake a survey. He concluded that NatWest’s offer of £15,000 would under-compensate the buyers and awarded them the full cost of repairs. NatWest appealed claiming Philips v Ward should apply in this case. The appeal court judge agreed that Philips v Ward applied, but also accepted that the recorder in the first case was entitled to reject the diminution in value proposed by NatWest of £15,000. In the absence of another valuation, the recorder was entitled to assess the amount of diminution on an alternative basis, including awarding up to the full cost of repairs. As a result, NatWest lost its appeal. Reports have been published by Building magazine, Barristers’ Chambers Hardwicke and Jordans Solicitors. Brunel provides a wide range of Professional Indemnity Insurance broking services to property professionals. Click here to find out more, or call Jonathan Filer on +44 (0)117 325 0752.